Our relationship with McKellar Renown Press has been ongoing for over 5 years. We feel that this two way relationship is unique in the fact that we do not see them as merely a supplier, but as a creative partner. One press check we stumbled into their ‘dead stock’ room. 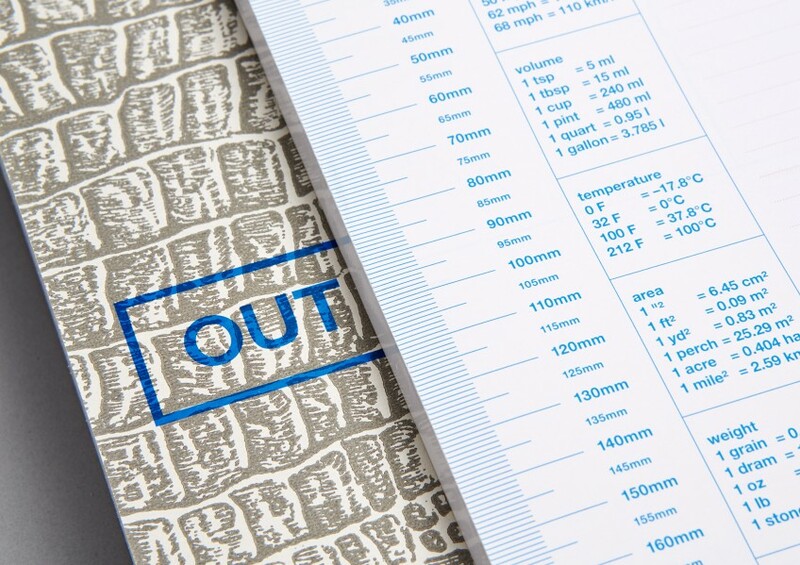 As designers and print geeks, we couldn’t believe the sheer amount of different papers and card stocks that were sitting gathering dust, deemed useless and ready for the bin. 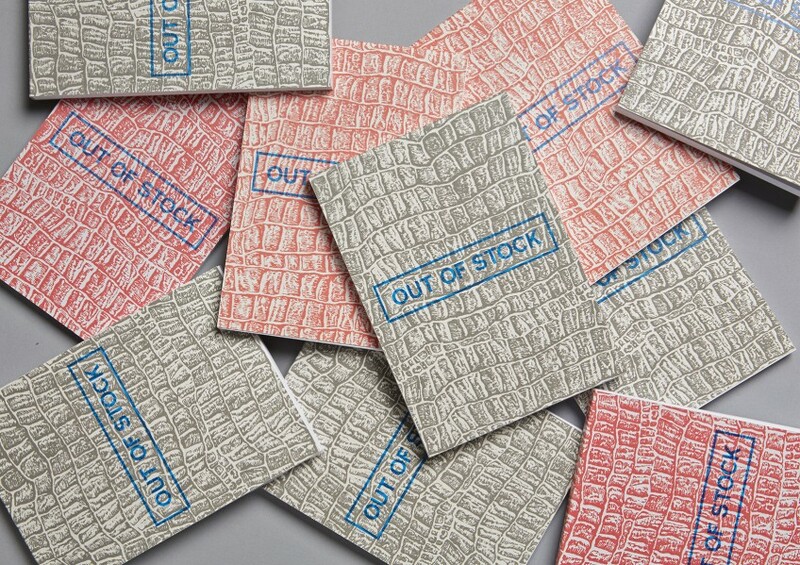 The room was piled high with end-of-run and cancelled jobs worth of paper and so began the ‘Out of Stock’ project. We suggested that we put these papers to good use, seeing as the presses were downstairs, turning this commodity into something useful with relatively little financial input. 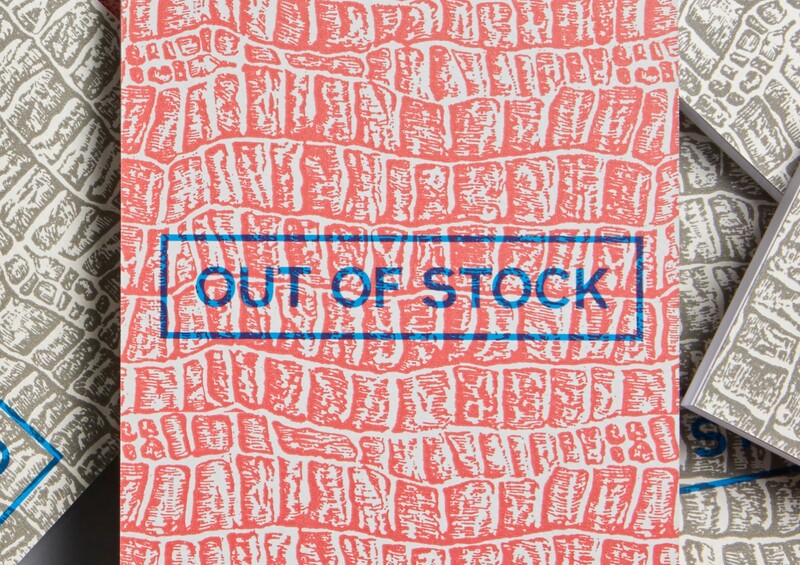 The Out of Stock notepads began with a stack of ‘Crocboard’, the kind that was used for stationery and receipt books in the 1980’s. We combined this with another large palette of light weight note paper, and more or less instantly we had the beginnings of a humble notepad. 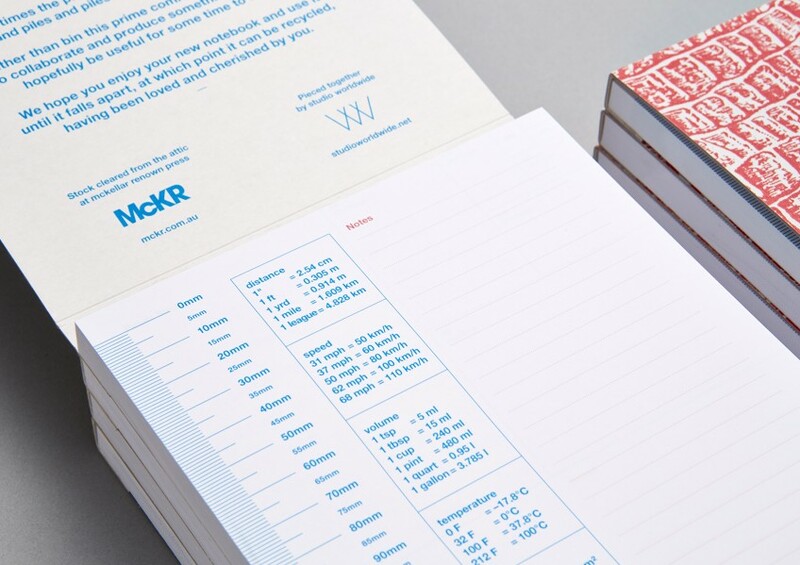 We set ourselves the challenge of designing a notebook that would be useful to the kinds of people who work with McKR Press, namely designers, art directors, and marketing managers. 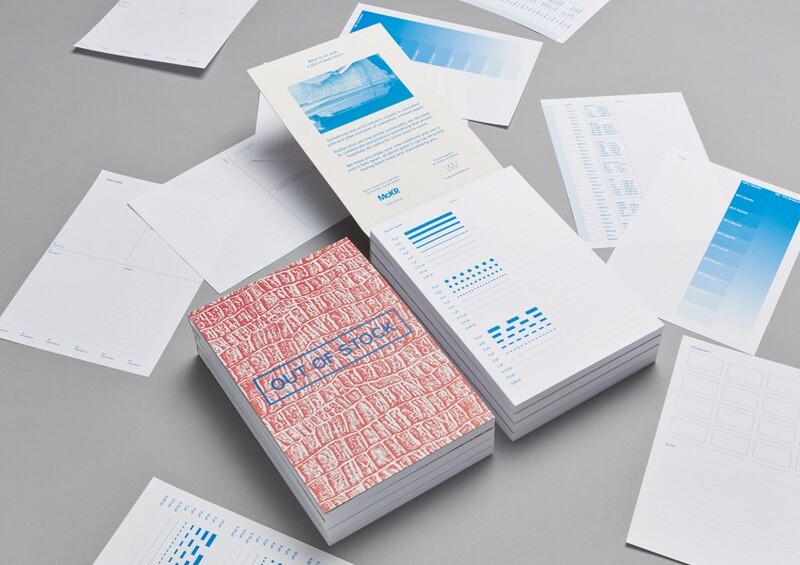 Each page in the Out of Stock notepads alternates between one of seven sheet designs including unit conversion charts, colour percentages, line weights and spaces for meeting notes, and storyboards. 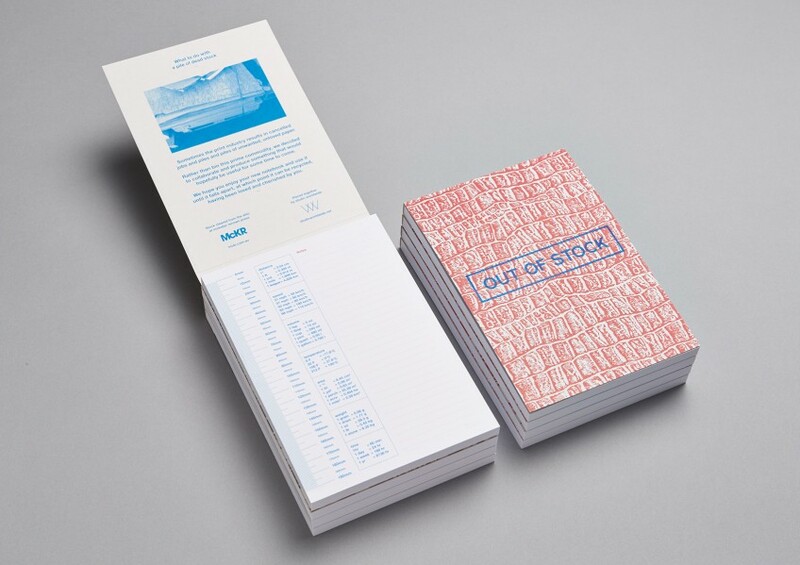 The finished product is a note pad that can be used and loved, made from papers rescued from the recycling bin. 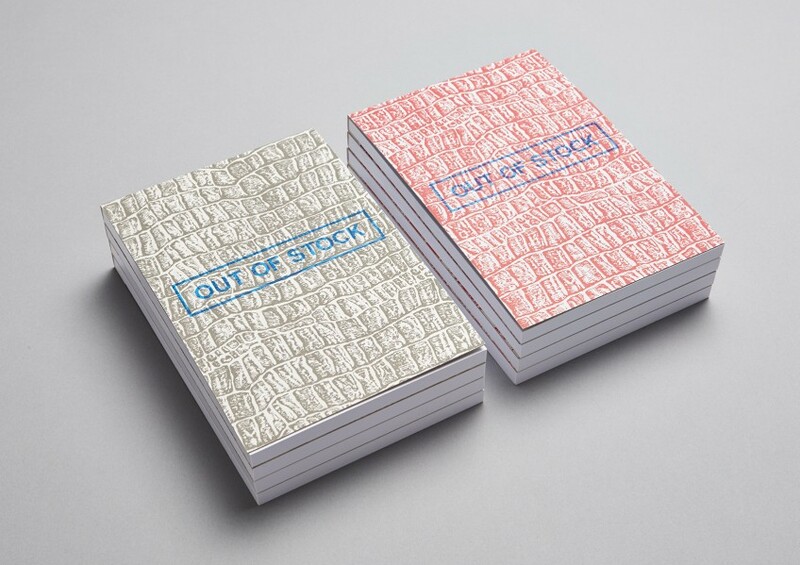 Since their creation the Out of Stock books have been given away as gifts at Studio Worldwide, McKR Press and included in gift bags at the ‘Jacky Winter Gives You The Business’ conference in Melbourne and Sydney.